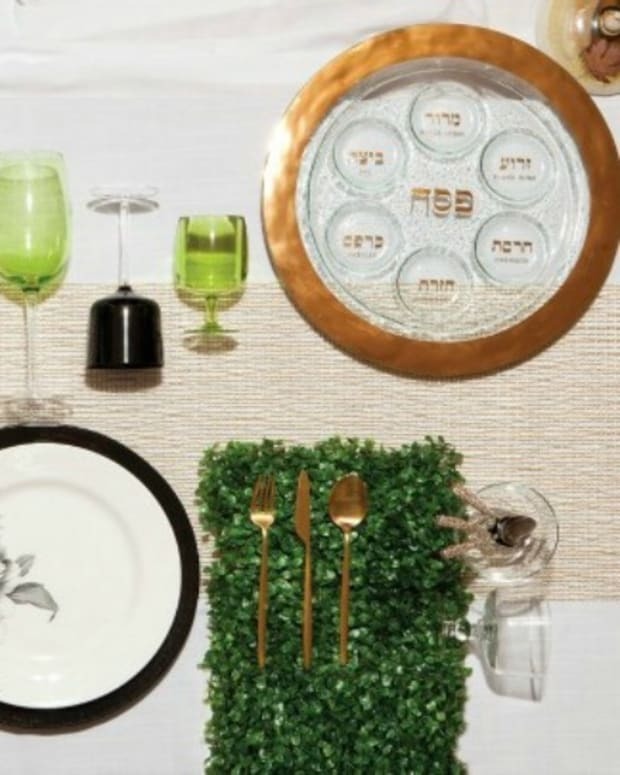 Before I can sit down to plan my seder night menu (or maybe we should leave that one to Jamie), I like to design my tablesetting for the evening well in advance of Pesach, as let’s face it, who has time later. 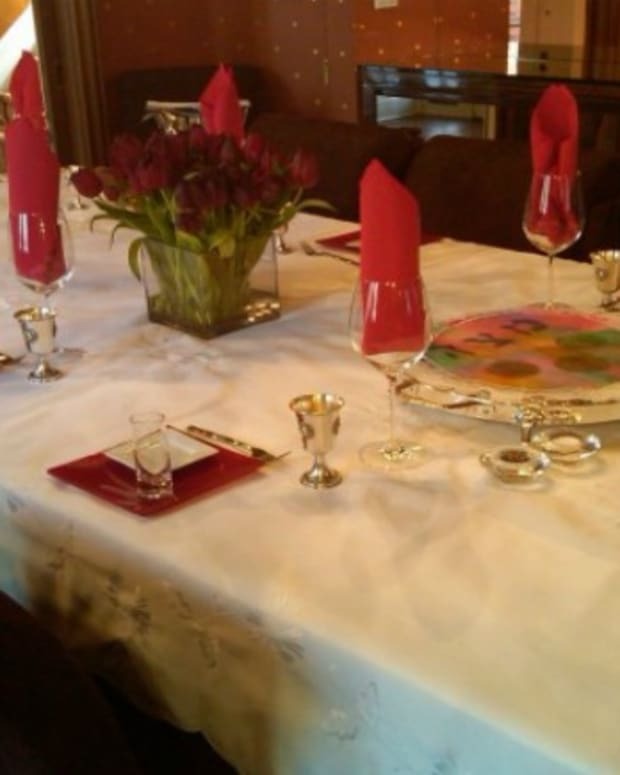 Make it fun and easy so the entire family will enjoy. 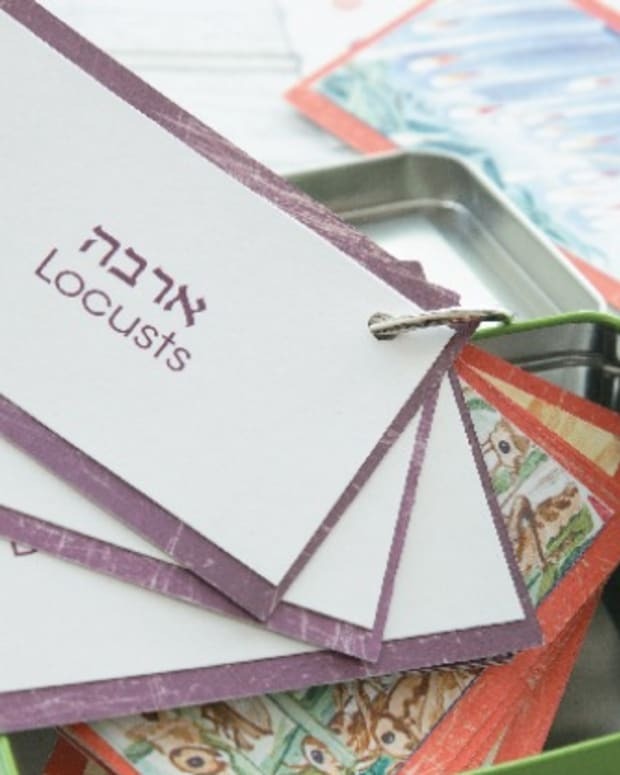 All you need is some cardstock, scissors, corks for the placecards, a good craft store and dollar store (shekel shop for those of us living in Israel), a computer and a little imagination. 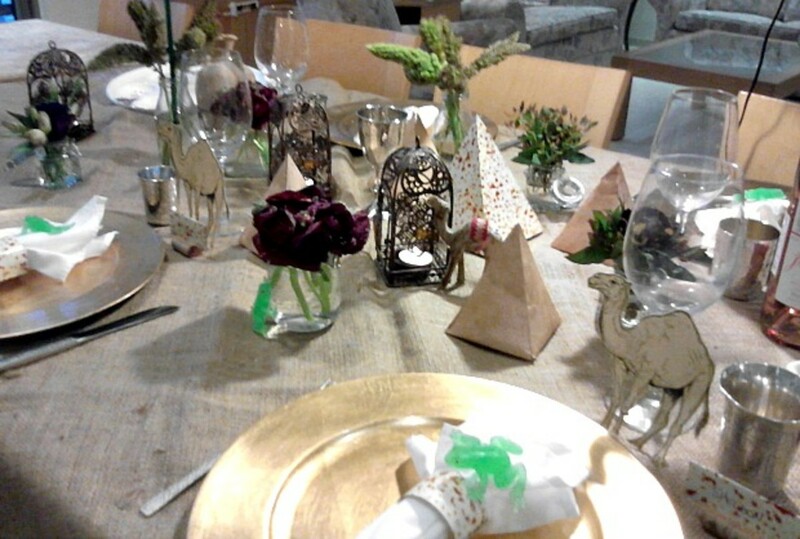 For the tablecloth I used a piece of crushed velvet and an overlay of burlap to create the desert look (get it Yetzias mitzrayim). 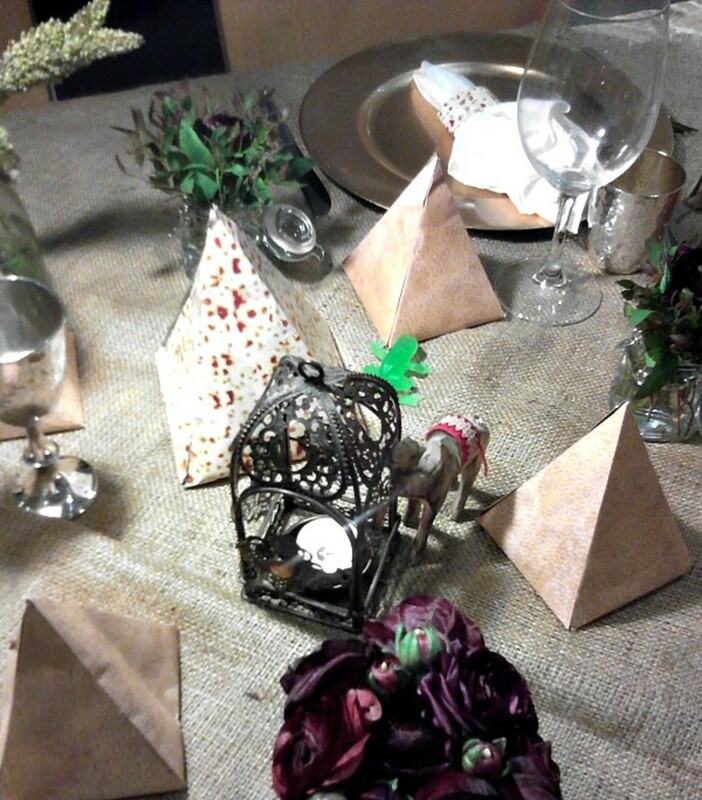 I’ve made pyramids (you can find instructions on youtube) out of matzah cardstock and parchment paper. 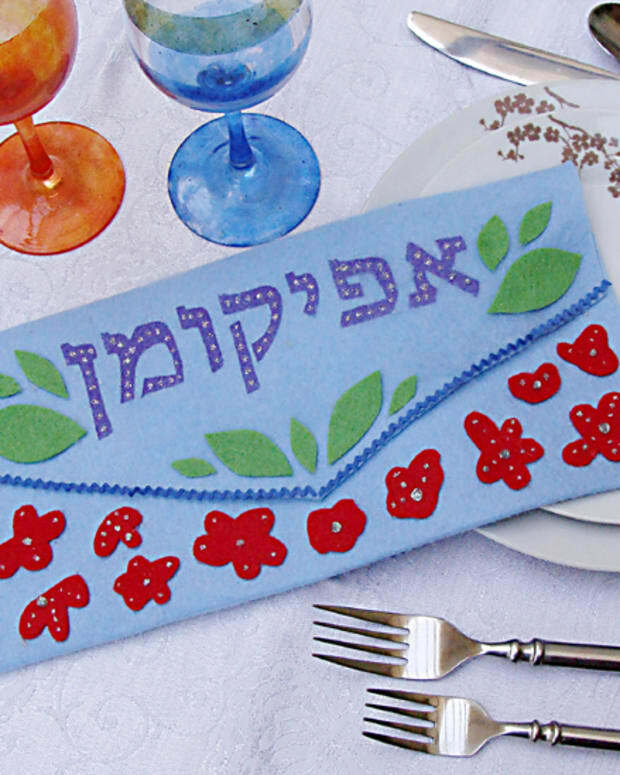 The leftover matzah paper was used to create the napkin rings and the placecards. 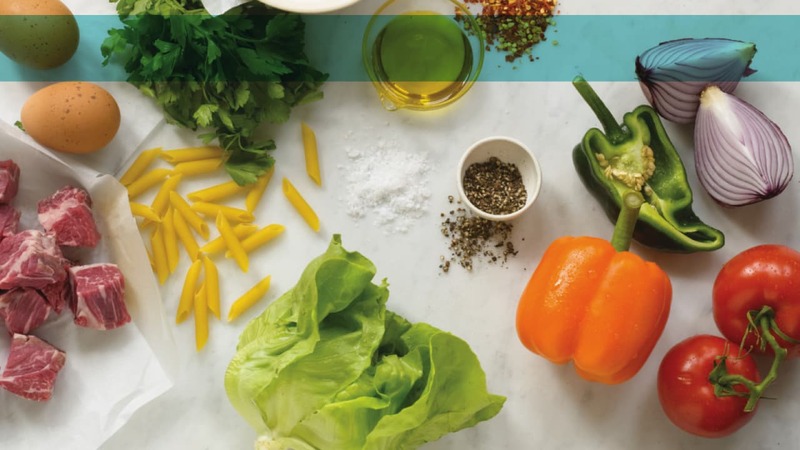 Simply cut strips of paper, any width you like, and glue to create rings for your napkins. Wine corks we used to hold the placecards. Cut the bottom of the corks to make a flat surface and then cut a slit in the corks to hold the placecards in place. 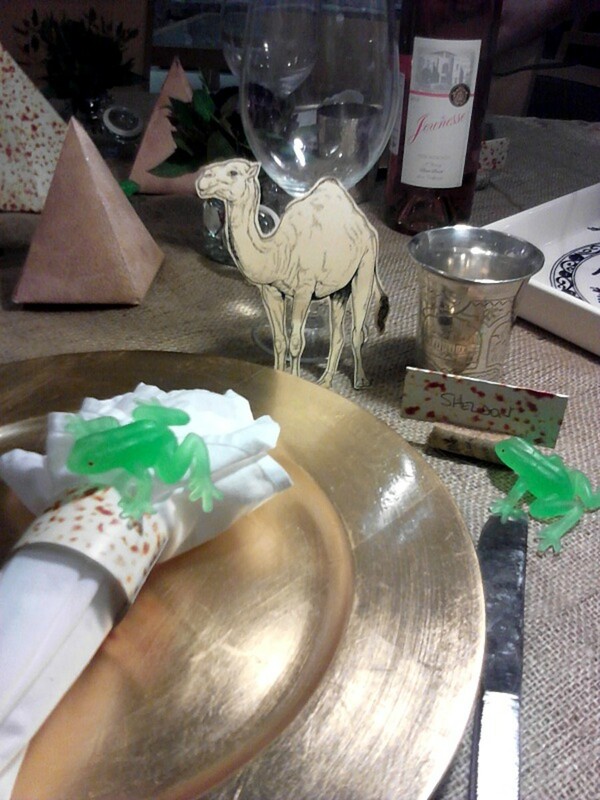 Camels and frogs add a fun element to the table. I found my little green friends at my favourite shekel shop, while the camels I downloaded from the internet. If you’ve visited Israel and had the chance to ride a camel, why not include some photos of family on camels, just for fun. 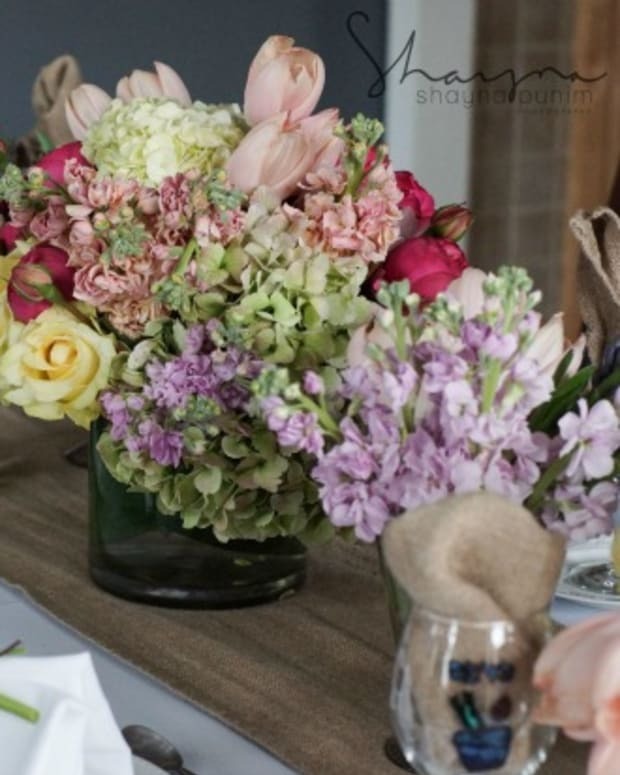 Add some flowers for colour and perhaps candles in lanterns for a touch of elegance, then sit back, relax and enjoy your exodus from Egypt.